I read this article the other day on Post Grad Problems. I laughed, and then was slightly horrified to realize I am a cult tv show watcher. I blame Netflix. 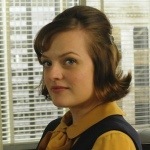 I’ve already cycled through Parenthood this summer, and I am currently marathoning through Mad Men. Albeit a few years late, I want to take a moment to discuss why I love (and hate) certain character. I’m only through season four, so some may be missing. As many have said, Don is somewhat irresistible. It’s the mystique – women are drawn to men they know nothing about, if only because they want to be the one to figure them out. For some reason, Don’s character has a few traits that make me love him. He’s a good dad. He’s powerful. And most of all, he’s an amazing copywriter. I am so thrilled Betty and Don are divorced. I loved when she saw the therapist and he said her thoughts were like a child. She is unbearable, and we all know someone like her. The first season or two, I thought Roger was a lot like Don. Then I realized he’s not. He’s the kind of guy I want to dislike, until I realize he’s just the embodiment of men’s behavior in the 60s. It’s awful, but true. I liked Peggy the first season. Now she mostly just seems whiny. I liked when Don told her she should start working harder instead of just asking for things. And for the love of everything fun in life, please shorten your skirt! Pete seems to be good at his job, so it’s almost difficult for me to hate him. But then he talks and makes it easy. He doesn’t deserve Alexis Bledel OR the girl from Community. Joan seemed kind of awful during the first season, and now she’s one of my favorite characters. She works so hard and knows everything. That’s my favorite kind of person.